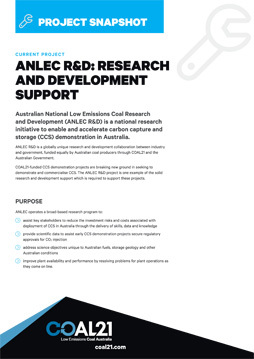 Australian National Low Emissions Coal Research and Development (ANLEC R&D) is a national research initiative to enable and accelerate carbon capture and storage (CCS) demonstration in Australia. ANLEC R&D is a globally unique research and development collaboration between industry and government, funded equally by Australian coal producers through COAL21 and the Australian Government. COAL21-funded CCS demonstration projects are breaking new ground in seeking to demonstrate and commercialise CCS. The ANLEC R&D project is one example of the solid research and development support which is required to support these projects. improve plant availability and performance by resolving problems for plant operations as they come on line. ANLEC R&D has supported a number of COAL21-funded projects including the Callide Carbon Capture Oxyfuel Demonstration and the CTSCo CCS Demonstration in the Surat Basin. 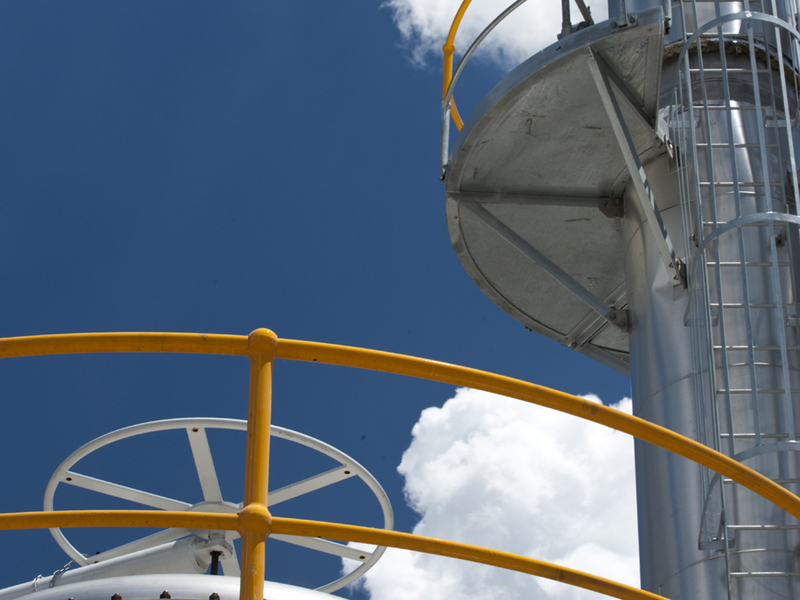 understanding flue gas quality and how impurities behave to minimise their impact on the process and enable future oxyfuel power stations to be designed to meet all regulatory emission limits. developing CO2 detection technologies to verify containment and deliver monitoring acceptable to regulators. ANLEC R&D started in March 2010 and is funded to June 2022. COAL21 has approved additional funds of $25m to continue to June 2027, with an effort to secure matching Federal Government funding underway. Such funding will allow ANLEC R&D to provide ongoing support to important demonstration projects. ANLEC R&D works closely with CCS demonstration projects, researching and developing solutions to accelerate these groundbreaking projects. Eighty per cent of ANLEC research and development funding is directed to supporting demonstration projects funded by COAL21, while the remaining twenty per cent is directed to research investigating emerging technology concepts.